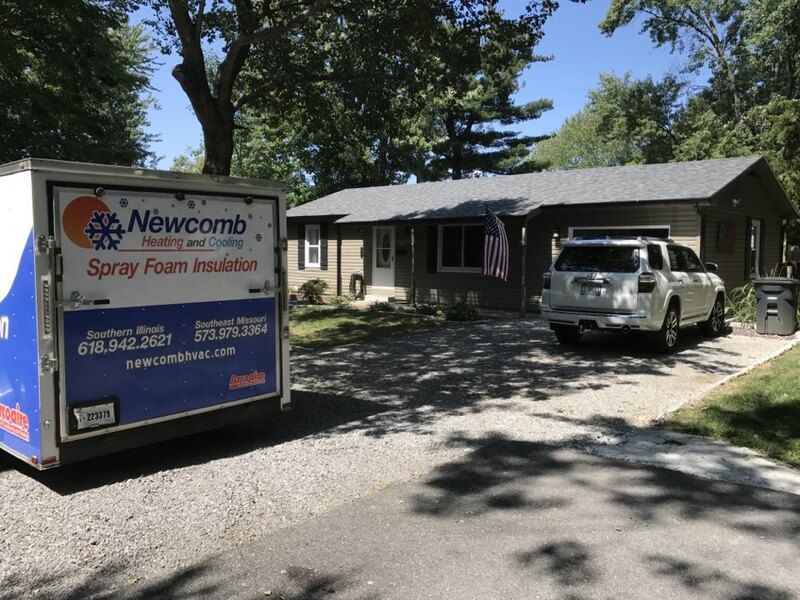 Newcomb Heating & Cooling provides air conditioning, heating, and home performance services to the residents of Jonesboro, IL and the surrounding areas. Read our reviews and find out why your neighbors consider us to be the experts for HVAC repair, replacement, and maintenance in Jonesboro, IL. Highly recommend Newcomb Heating and Cooling. A company that cares about their service and workmanship. Great customer service. Spray foamed the foundation floor with closed cell foam. 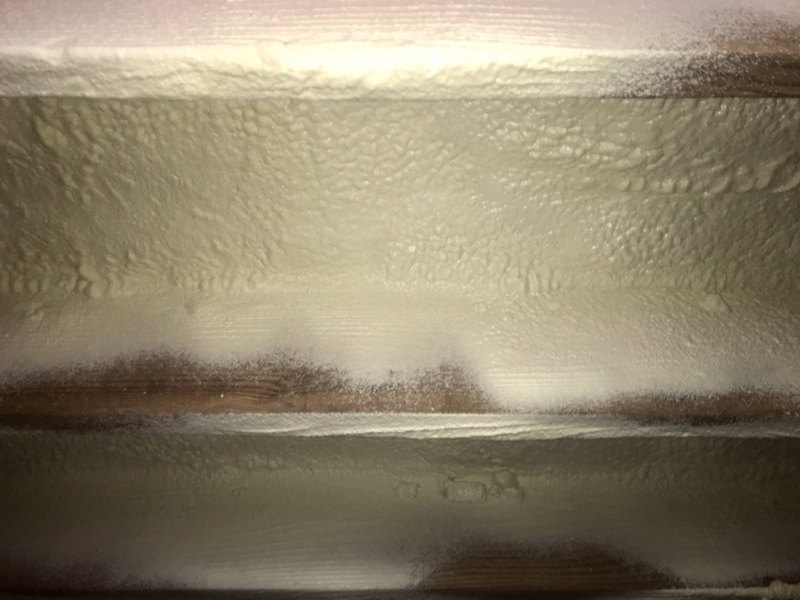 1" of closed cell spray foam on the roof and the the coatings on after the spray foam. Great for insulation and water protection. York air conditioner had a bad capacitor. Put a new turbo 200 on that gas a 5 year warranty on it. Also checked the contractor for pitting. Heil heat pump low on refrigerant. Added 3 lbs to the system. Checked air filter and all the electrical components. Did AC check up. Checked all electrical and freon levels. Installed new HVAC systems and spray foam insulation in the new banquet hall. Spray Foam Insulation. Encapsulated the entire building with closed cell spray foam insulation. Spray Foaming a coffee house. Closed cell everywhere!! Fan was not working. Put a new blower motor in a carrier heat pump system. Installed a return air duct and insulated it. Checking a Heil air conditioner. Thermostat wire had been broken in two. Re wired and checked out the refrigerant. Did a full system check up. Carrier heat pump system not cycling correct. Customer had high electric bills. Thermostat was kicking emergency heat on when it wasn't suppose to. Replaced the thermostat with a Honeywell touchscreen thermostat. 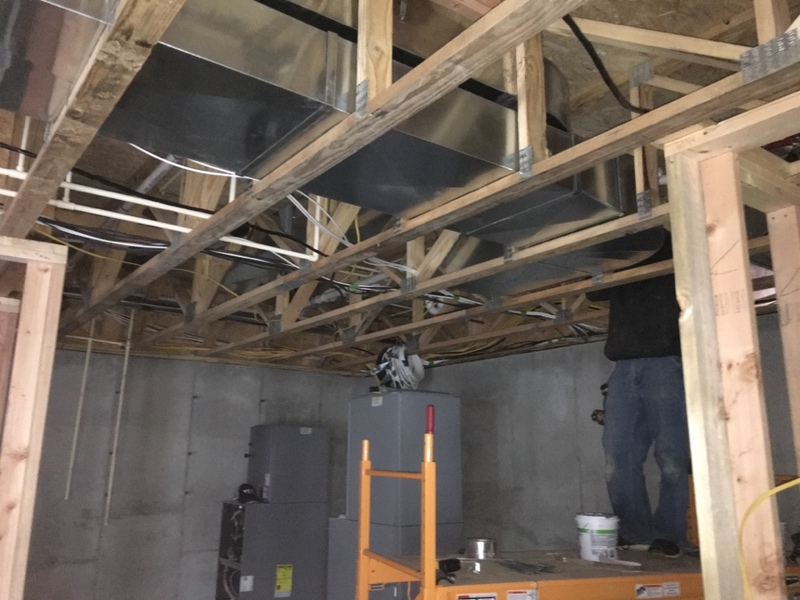 Installing supply air duct and return air duct. Custom sheet metal made to fit. Taping and sealing all metal. Arcoaire high efficiency gas systems being installed.